Home 2+ Acres Open Floor Plan Fenced Large Garage Golden Valley AZ! Hm 2+ Acs Fenced Large Garage Golden Valley AZ! 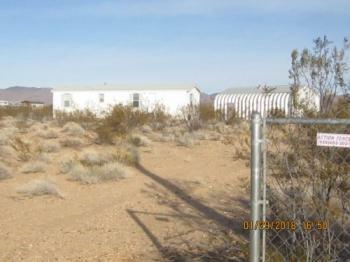 Like-new single wide manufactured home & large metal garage on 2.35 fully fenced Acres. Hm 2+ Acs Fenced Large Garage Golden Valley AZ! Property divided in half by fencing: The half with the home and garage is fenced with chain link, the other half is fenced with field fencing topped with barbed wire. Person-gate leads from one half of property to the other. Hm 2+ Acs Fenced Large Garage Golden Valley AZ! Perfect for gardening or animals. 2500 Gal Water Tank in garage. New pump to be installed soon. Home is really cute and has barely been used. Come See!!! Congratulations on your new listing! It looks like a beautiful home. This looks like a great opportunity for buyers in your area. I am sure this will be a quick sale.